Trauma has become a “modern epidemic” in India. Experts from the All India Institute of Medical Sciences, or AIIMS, in New Delhi estimate that by 2020, trauma will be third among causes of disabilities in the country. To help AIIMS expand trauma research and treatment in India, the University of Michigan established a platform for ongoing collaboration through U-M’s Global REACH program. Global REACH works with Medical School faculty and students to enable international research as well as clinical and educational partnerships. Krishnan Raghavendran, M.D., a U-M professor of surgery, has led the Global REACH effort to share surgical and trauma care expertise in India. Since the collaboration began in 2010, U-M surgeons and AIIMS faculty have created a curriculum for the development of trauma and surgical critical care programs in India. In November 2014, the UM-AIIMS collaborative held a week-long, intensive course in research methods. 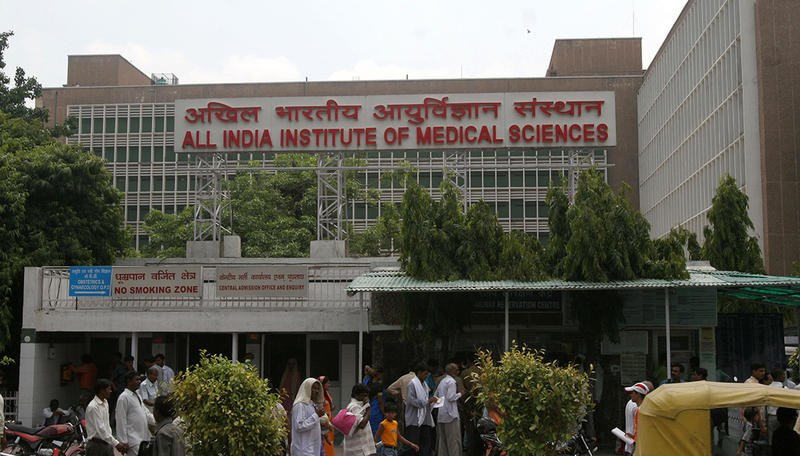 The course addressed AIIMS’ and India’s need for a formal structure, in particular for junior faculty as they began translational and clinical research. “The course explored topics related to asking the right research questions and the appropriate clinical design to answer those questions,” Raghavendran says. Several practical ideas emerged from the course. One collaborative project earned funding from the National Institutes of Health, or NIH, to examine the use of ultrasound in measuring optic nerve sheath diameter as a marker of intracranial pressure elevation in traumatic brain injury, or TBI. Most recently, a joint proposal for a clinical trial of early decompressive craniectomy, or DC, in patients with severe TBI in India was submitted to the NIH. DC is a neurosurgical procedure in which part of the skull is removed after a TBI to allow the swelling brain to expand. Some studies have suggested that TBI patients live longer if surgeons perform this procedure. “What we are trying to find out is if we do the DC procedure relatively early, within 12 hours of injury, in addition to improved mortality, can we also see a benefit in neurological outcomes,” Raghavendran says. “These types of studies are relevant to India because they have the patient population where such procedures are being performed routinely; we have the technical know-how to build and conduct the study properly. A second research methods course, building on the first, was held in mid-March. Raghavendran says these courses, and the collaboration with AIIMS as a whole, allow the two institutions to explore valid research questions that hold meaning and function in a resource-limited environment. “Working with another country and helping them build their capacity to do research is something we should be proud of,” Raghavendran says. He adds that capacity-building for research is a necessary first step in establishing relationships that will lead to meaningful translational research to improve trauma treatment now and in the future.